K-pop is well-known as a hybrid musical tradition, incorporating elements from musical traditions developed in locales outside of Korea, including Japan, Latin America and the United States. While some attribute some of the foreign elements to “Western” music, other scholars recognize the tremendous impact of distinct black American musical traditions. In “What Is the K in K-pop? : South Korean Popular Music, the Culture Industry, and National Identity,” John Lie describes the dynamic between traditional Korean popular music traditions and foreign traditions. During the 1970s, he points out, “In urban areas, in spite of the elite embrace of Western ‘classical’ music, the prevalent popular music was ‘trot,’ a Korean variant of Japanese enka” (343). Yet, the incorporation of Japanese music seemed less foreign because “the register of Korean and Japanese musical sensibility remained stubbornly rooted in traditional musical meters” (344). According to Lie, a quantum shift occurred with the emergence of Seo Taiji and the Boys in 1992. While he acknowledges that the group “was one of the first groups to incorporate rap music and hip-hop sensibilities to South Korean popular music,” he also asserts that Seo’s significance comes from “pioneering a new musical soundscape that became almost invariably ‘Western’ pop music” (349). Throughout the essay, Lie creates a dichotomy between Korean traditional music and “Western music,” which often means rock music: “There was, in short, a chasm between Cho [Yong Pil] and Elvis Presley or the Beatles, much less Pink Floyd or Led Zeppelin: the musical distance between South Korea and the United States (and the so-called West) remained significant” (346). Lie collapses much of Western music, failing to note the impact of particular genres at particular times. Not only did this hold true for Korean music of the late 1960s, but also of the 1990s: “It was the hip-hop of the early 1990s that marked the full-fledged emergence of a Korean hybrid hip-hop, the heir to the soul music that went through a short-lived boom at the end of the 1960s and the early 1970s and demonstrated a Korean variation on the genre. Just as soul music appeared as a hybrid form of soul-psychadelic, hip-hop instantly surged into the mainstream as a compromise form of rap and dance music” (70). Kim goes on to cite Seo Taiji as “playing a critical role in popularizing hip-hop and rap music” (71). The hybrid nature of K-pop requires the historiography of K-pop to untangle the complex impact of foreign musical traditions. Musical traditions like hip-hop and soul emerge under specific socio-cultural conditions, and carry specific meanings for their first audiences, which is often carried to more global audiences. Lie’s assertions place a premium on national distinctions that keeps traditional Korean music in view, but a comprehensive overview of K-pop’s development also requires Chang’s approach, which also makes distinct foreign musical traditions and their impact on Korean popular music visible. 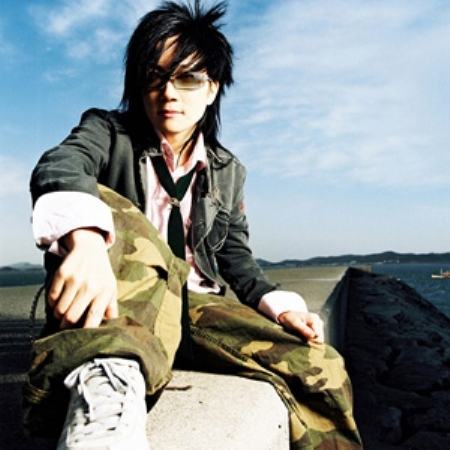 “Seo Taiji, Xahoi,” Hallyu Harmony, accessed September 3, 2014, http://kpop.omeka.net/items/show/50. Kim, Chang Nam. K-pop: Roots and Blossoming of Korean Popular Music. Seoul: Hollym Publishers, 2012. Lie, John. “What Is the K in K-pop? : South Korean Popular Music, the Culture Industry, and National Identity.” Korea Observer 43.3 (2012): 339-363. What is ‘Western’ Music? : Foreign Influences on K-pop by Crystal S. Anderson is licensed under a Creative Commons Attribution-NonCommercial 4.0 International License. Previous postHallyu Chapter Goes to Press!